Halloween is just around the corner. Many children are beginning to get excited about their favorite holiday. They are already talking about what they want to be this year – and the candy! 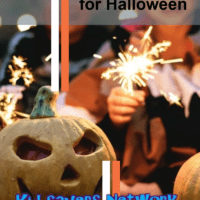 It’s estimated that Americans are expected to spend 46.9 billion dollars on Halloween in 2018. That comes out to an average of $74 per person. If you have a family of four, this equates to nearly three hundred dollars. That’s quite a bit of money to spend on one single day! 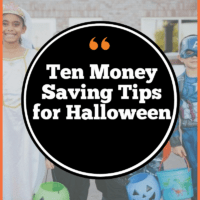 To help here’s 10 money saving tips for Halloween. 9. Buy candy in bulk. 10. Check out the dollar store. 11. Wait to buy your pumpkin. 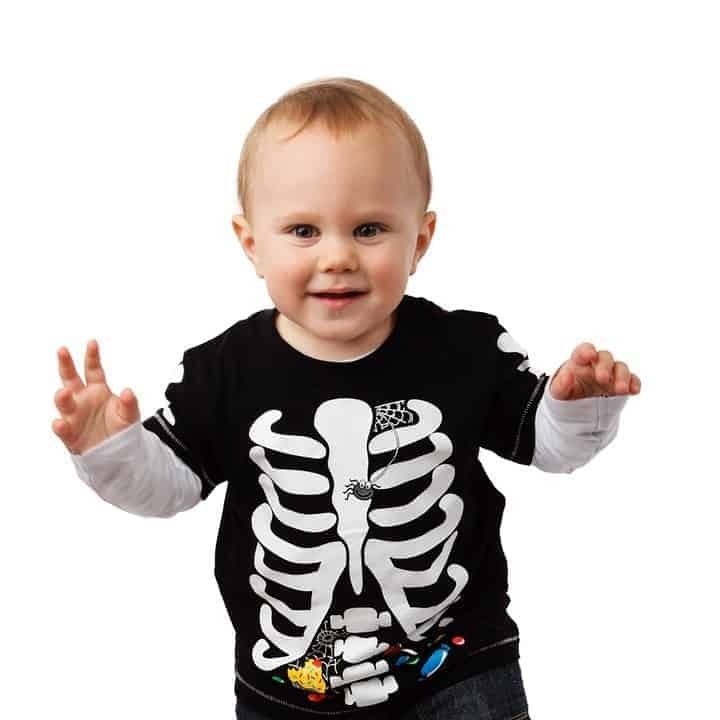 As we get later into October, the price of Halloween costumes goes up as demand increases. My sister recently just purchased two Halloween costumes for her children at Costco. They each cost around $18 for a two to three-piece costume set. Yes, it was early, however Costco guarantees and accepts returns until October 15th. That means your children can change their minds and you can get a refund. Check out amazon for Halloween costumes. Normal Halloween stores will charge you well over retail prices. 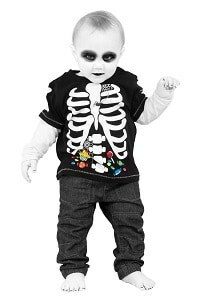 Google the Halloween costume your child has their heart set on and see where you can purchase it cheapest. There are all types of online costume retailers now. Check out Ebay! Search very specifically such as a Pottery Barn baby elephant costume. You could end up with an expensive costume for half the price! 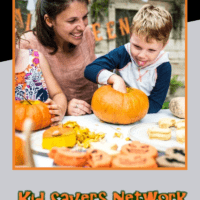 Do you have a talent in sewing, can you reuse another child’s costume? If you have a talent at sewing check out Pinterest. There are a ton of sewing patterns and ideas on there for those who are crafty! These crafty costumes can range from easy to hard to create. 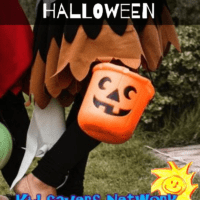 Get your kid involved in the crafting and help them design their own costume! This is a sure fire way to save some bucks. Check out Pinterest for Halloween costume ideas! Sometimes all you need is one amazing hat to pull off a costume (eg: “Mad Hatter”) or maybe you already have pompoms and your daughter wants to be a cheerleader. Look for that one amazing accessory piece to make the costume instead of buying one generic costume. Swap costumes with friends, neighbors and family. This is an excellent way to recycle and reuse last year’s costumes. Bring out your old costumes and invite friends and neighbors over for swap. Let the kids try on the costumes and choose one they like best. Everyone will come out a winner! Check out tips here. Go to Goodwill, TJ Max, or Ross. A lot of times these places carry fantastic pieces that will make up a great costume. Shop early, as others will be on the lookout come early October. Note the stores discount days. 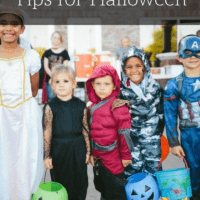 If you can encourage your child to choose a costume that is not this year’s “Pop Culture” character, you’ll definitely save a few bucks. 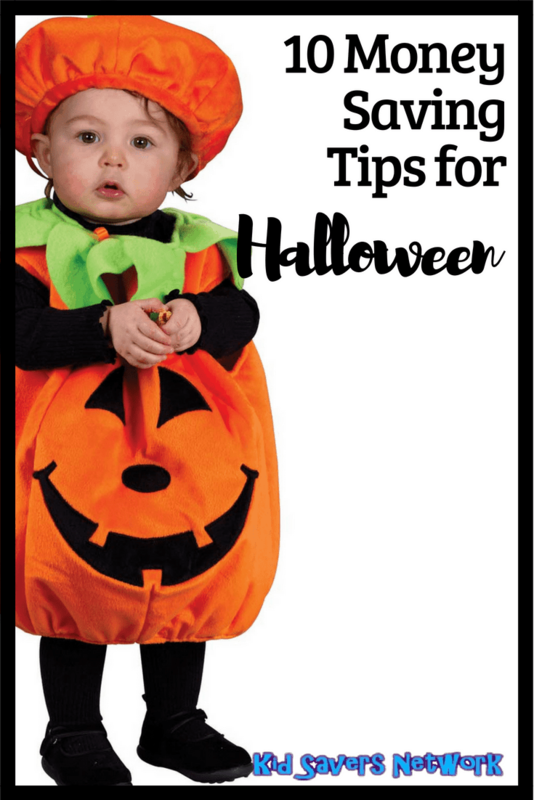 Each year make sure to clean your child’s costume and either store or put in a dress up bin box. Next year your younger child may be interested in wearing it. The best way to save money on candy for Halloween is to buy the candy in large amounts. Purchase candy at your warehouse store or at a discount big box store. Buy it early. 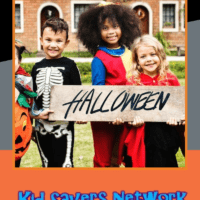 If you really want to save, buy the generic brand of candy or consider giving out other items such as small canisters of play-doh. Kids really get excited about decorating for Halloween. They love monsters, ghosts, witches and anything that feels slightly scary! For the best deal on decorations check out your local dollar store. They carry things like fake spider webs, skeleton bones, and black birds. You can also find trick or treat bags, and wreaths. 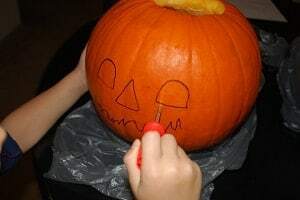 Wait until the week before Halloween to buy and carve your pumpkin. Doing it too early will mean your pumpkin turns into a mushy mess by the time midnight Halloween arrives!